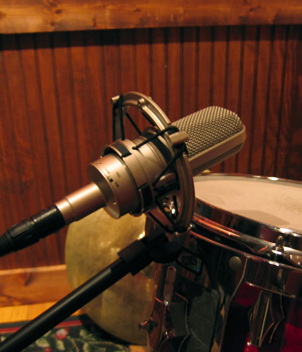 Modern large diaphragm mic designed to emulate the sound of popular vintage FET microphone designs. Does an exceptional job. Excellent on bass and electric guitar amps, toms, kick drum, trombone, and vocals.